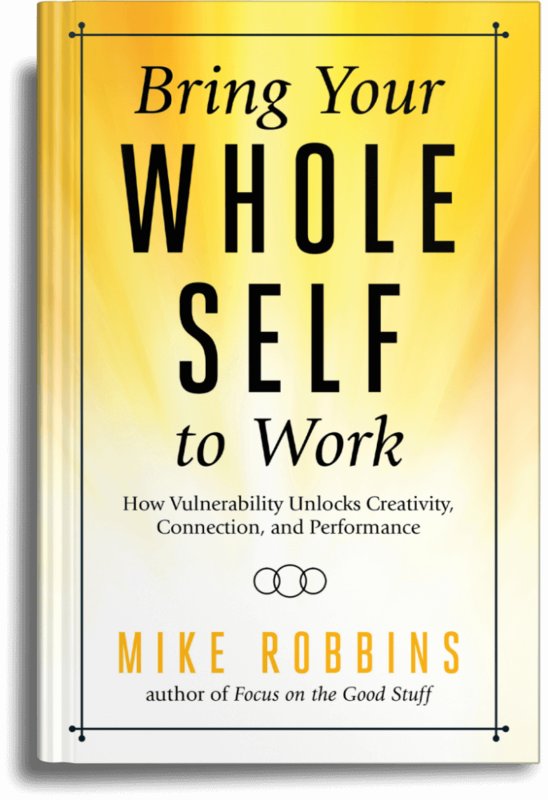 Mike Robbins is the author of four books, Focus on the Good Stuff, Be Yourself Everyone Else is Already Taken, Nothing Changes Until You Do, and Bring Your Whole Self to Work. He’s an expert in leadership, team performance, and company culture who delivers keynotes and seminars around the world that empower people, leaders, teams, and organizations to be more successful. Prior to his speaking and writing career, Mike was drafted by the New York Yankees out of high school, but turned them down and chose to play baseball at Stanford University where he pitched in the College World Series. After college, Mike signed with the Kansas City Royals. He played three seasons in the Royals organization before arm injuries ended his playing career while he was still in the minor leagues. After his athletic career was cut short by injuries, Mike worked in sales and business development for two tech companies, before starting his own consulting business in 2001. Mike’s clients include some of the top organizations and institutions in the world, such as Google, Wells Fargo, eBay, Gap, Microsoft, Schwab, Airbnb, the Houston Astros, Harvard University, Chevron, and many others. Mike and his work have been featured on NPR, ABC News, the Oprah radio network, and in Fast Company, the Wall Street Journal, and O Magazine. He’s a regular contributor to Forbes, hosts a weekly podcast, and his books have been translated into fifteen different languages. For more information about Mike and his work, visit www.Mike-Robbins.com.